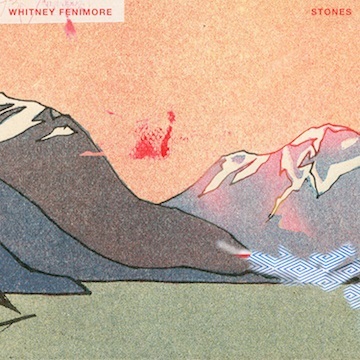 Alt-country rocker Whitney Fenimore has just unveiled her brand new single Stones and is a stunner of a song! A stomp-along track highlighted by Fenimore’s soulful vocals, the song further demonstrates her incredible ability to seamlessly blend the genres of alt-country, rock, pop, and folk. Stream it below! I'm really enjoying this song that talks about people that try to bring us down. It has quite a power to it! Stones is taken from her upcoming new five-track EP Battle Within set for release on May 18th. Best known for her audition and participation in season 13 of NBC’s Emmy-award winning show The Voice, the 28-year old musician has now moved on from the show and is focusing on her new music, including the release of her first new single Find Your Love earlier this year with BlackBook. A published songwriter with Sleeping Giant Music Group headed by Grammy-award winning producer Ken Caillat (Fleetwood Mac, Colbie Caillat, Lynyrd Skynyrd), Whitney has just finished up a series of dates at SXSW 2018 in Austin, TX, a one-off show in LA at Hotel Cafe, and a hometown show in Tempe, Arizona.